Let’s add up the costs of exclusive rights to use beats, or the cost of recording at a pro studio, even getting a feature from a commercially successful artist. A fully professional album can cost anywhere upwards of $10,000. It could be much cheaper depending on your networking and resources, but for our sake we’ll assume you don’t have any. It’s best to practice your material before you get to the studio so you can utilize your time wisely. Remember that perfect preparation prevents poor performance. This hold true even when just practicing or jamming. You want to have the mentality to record what you going to record in one or two takes. Let’s break costs down. Booking 5 hour sessions it’s possible to complete a 2-4 songs during that time. Average costs for professional studio time are $25-$85 an hour. Depending on how long your release will be you’ll need to times this by that many. Exclusive rights refer to the production of instrumentals for you so that no one else can use them. Leasing rights are cheaper, but if you’re building an album you want unique instrumentals. Depending on the experience and buzz of the producer the price may vary from $300-$10,000 per instrumental. Don’t forget to read the contracts, most producers get royalty points as well. Of course if you’re friends with independent artists this may not be a factor – trade collaborations. However depending on the buzz of the artist, the price may vary insanely from hundreds to thousands. First, if the artist is signed to a label, the label must approve the song via written consent (they won’t do this for free). Second, not all collaborations will be worth it if a proper promotion strategy isn’t set up and the featuring artist doesn’t promote the record – so check their work ethic. Third, work with other artists at your level or just above your level. It’s relatively cheaper than superstars that will charge 5-6 figures. As in any business, you would want a business team that will guide you into successful territory. There are several roles that can played regarding legal matters. The most common roles are the entertainment attorney and the artist administrator. Both provide a service that benefit you in the means of making sure you are legally protected by any bad business decisions or encounters. Entertainment lawyers provide legal counsel to artists, employees, companies, and individuals involved in all areas of the entertainment industry. Their services range from contract drafting, negotiating, maintain relationships with major labels or studios and more. The general counsel of an attorney is one of the most powerful tools in the industry. Artist Administrators can be a number of things from licensing, royalty, to copyright filling. These administrators make sure your paperwork for copyrights, Performance Rights Organizations, SoundExchange, and more are correct and up-to-date. Regarding their services, I’ve seen prices as low as $200 an hour, $1500 for a specific administration service, and retainers of $2000. Find one that best fits your budget and make it work. If your budget isn’t high and you’re willing to read up you can figure out or attempt to do most of these tasks yourself, but do not skip on having a entertainment layer on retainer to proof any contracts you get. Also, don’t forget it costs to get your music copyrighted, UPC codes, and etc. Now manufacturing and distribution (M&D) is an interesting topic to touch on in today’s music business climate. I really won’t get into M&D deals offered by labels because that could be article of it’s own. There are different types of distribution – physical retail and digital retail. Knowing the advantages and disadvantages to both are key in your strategy to a successful campaign. Sound Quality – The sound quality of a CD over MP3 versions are the only reason why most folks still buy CDs. Tangibility – Fans still think it’s pretty awesome to have a tangible copy of their favorite albums. 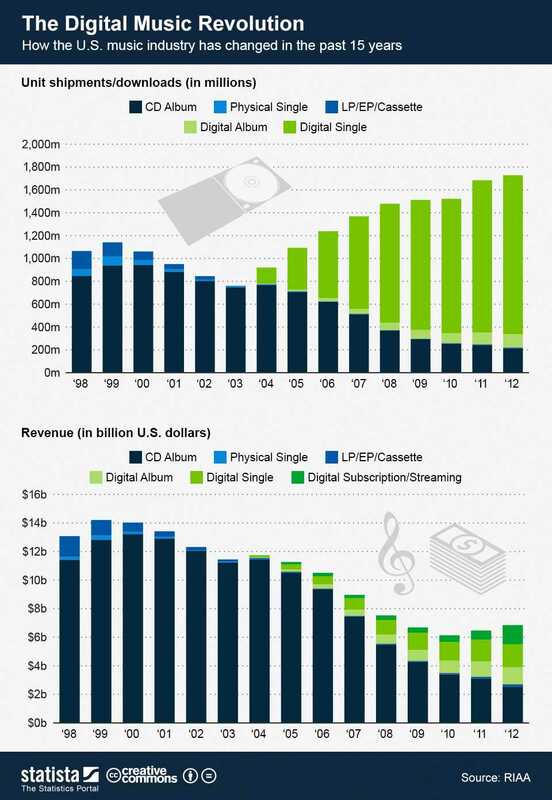 Market – As long as there are CD players in automobiles, there will always be a market for CDs. Relationships – Building relationships with physical retailers can help in other aspects of your career. For example, if your album is selling well, retailers can vouch with venues and radio when inquiring about your music. Accessibility – Music consumption trends show that with more digital retailers, accessibility to music will be higher than ever. Forms of Distribution – There are different forms of digital distribution – retail, subscription based, and streaming. Costs – Distribution costs are low by going the digital route. Costs – The cost of manufacturing and producing CDs are extremely expensive versus going the digital distribution route. Visibility – If you aren’t able to work out a store front promotion deal with physical retailers, your CD could get lost in the store with thousands of other CDs. Accessibility – It’s easier for music consumers to find a digital version of the music. Relationships – Building relationships with retailers take time. Tangibility – As a fan, once the hard drive crashes and dies, where do all the MP3s go if they aren’t backed-up or through a store that allows re-downloading. Also, you can’t autograph a digital booklet. CD manufacturing can cost anywhere between $1 to $5 per CD depending on how your complex your packaging will be. As for physical distribution, consignment for physical CDs are the easiest way to work with a retailer as an independent. Digital distribution is as easy as paying an affordable fee ($50 or under) to the digital aggregators (Tunecore, CD Baby, etc.) to get your music in digital retailers. There are a number of different ways you can build a budget around promotion and marketing. There is radio promotion, video promotion, tangible promotional materials, online advertising campaigns, etc. The only thing about promotion and marketing is that you have to be unique to stand out. Not every tactic works for each artist or else everyone would be known, and an un-starving musicians. Depending on your different needs and goals, your promotion costs can vary. The only necessary materials for promotion would be your album cover and tracklist / package design depending on your distribution method. This will vary from $50-$2000 depending on the designer and materials you will need. If you are looking to have a buzzing single across national terrestrial radio stations, you can spend anywhere up to $100,000-250,000 on radio promotion alone. But if you are looking to just grow as an independent artist with a solid online buzz, having a budget of a thousand or two will help you wonders in online advertising and promotional materials. 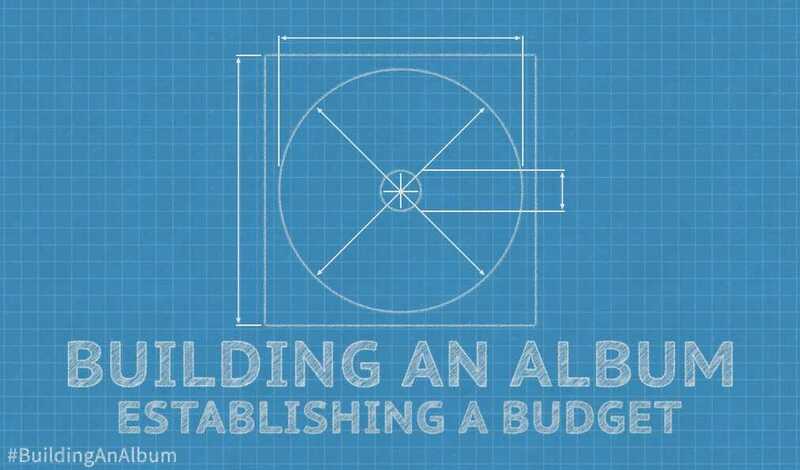 Once you take into account all four factors into building a budget, releasing an album isn’t so simple. It takes a lot of work and money to make it work effectively but with the right team, network, and possibly investors, you can become the next great indie artist. Artists what are things you plan for an album when establishing a budget? What about your most cost-cutting areas? Drop your experience in the comments below! As you all know ThinkDope and Stereo Assault invaded A3C this year! My group MME was a part of the special showcase that we’ve constructed and the only thing that I needed to do besides being present [and killing it] was making sure my voice was present as well! The life of a performance vocalist is non-stop and that can sometimes have a wear on your voice if you’re not careful. Here are a few tips to keep your voice in top shape and preserve your money-maker in the midst of all the chaos.